What are the career opportunities for Kenyans in the diaspora back home? 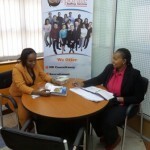 Are there any opportunities for skilled Kenyans in Europe? 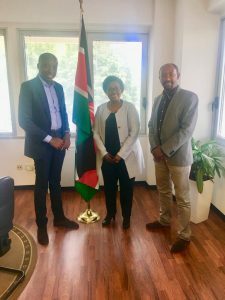 On Thursday 10th May, CSS CEO-Perminus Wainaina had a chance to discuss these pertinent questions with the leadership at the Embassy of Kenya in Rome Italy. The warm reception from madam Harriet M Nduta, the Charge D’affaires a.i and her team opened up the forum to the unlimited opportunities for Kenyans to come back home and greatly contribute to the socio-economic sector. Here are some of the photo sessions that took place.